This policy can be found under the BlackBerry Bridge category when configuring an IT Policy after the file below has been applied to the BlackBerry Enterprise Server. 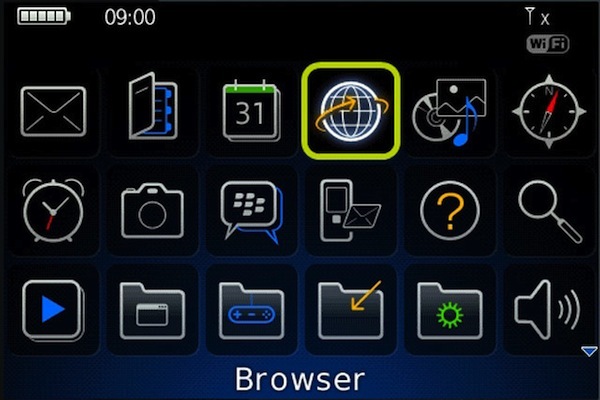 Description: Specify whether a BlackBerry device can run BlackBerry Bridge. If you set this rule to Yes, a user can run BlackBerry Bridge and use it to connect a companion device (for example, the BlackBerry PlayBook) to the BlackBerry device. If you set this rule to No, a user cannot run BlackBerry Bridge and cannot use it to connect a companion device to the BlackBerry device. If you do not set this rule, a default value of Yes will be used. This policy can be found under the Companion Devices category when configuring an IT Policy after the file below has been applied to the BlackBerry Enterprise Server. 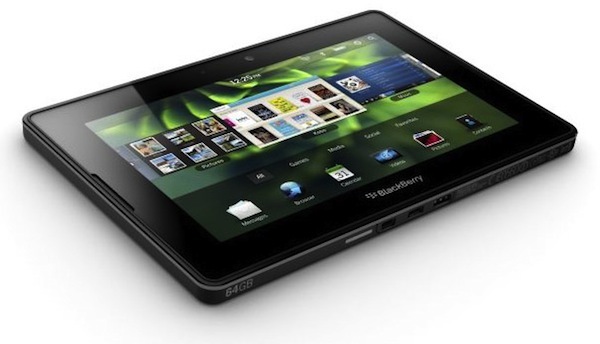 Description: Specify whether a BlackBerry PlayBook tablet can generate and send log files to the BlackBerry Technical Solution Center. The default value for this rule is Enable Logging. If you set this rule to Enable Logging, the tablet can generate and send log files to the BlackBerry Technical Solution Center. If you set this rule to Disable Logging, the tablet cannot generate and send log files to the BlackBerry Technical Solution Center. Solltet Ihr das für den BES 4.0 oder 4.1 machen wollen, so könnt Ihr das mit Hilfe des BlackBerry Manager oder mit der loadbesmetadata.exe bewerkstelligen – wie das funktioniert steht auch im KB26294. Diese IT-Policy weist Ihr dann den jeweiligen BlackBerry-Usern zu und verhindert somit evtl. entstehende zusätzliche Kosten. Diese Einstellung gibt es nur beim großen BES (Nicht beim BESX) und ist enthalten in den Versionen 4.1.X bis 5.0.2 (Stand heute). Allow SMS IT policy rule This rule specifies whether a user can send Short Message Service (SMS) text messages. Maximum Password Age IT policy rule This rule specifies the number of days before a BlackBerry smartphone password expires and a user must set a new password. The permitted range is 0 to 65,535 days. Maximum Security Timeout IT policy rule This rule specifies the maximum time (in minutes) that a user can specify as the security timeout value. The security timeout value is the number of minutes of inactivity before the BlackBerry smartphone locks. The permitted range is 10 to 480 minutes. Minimum Password Length IT policy rule This rule specifies the minimum number of characters that are required for a BlackBerry smartphone password. The permitted range is 4 to 14 characters. The maximum password length, which this rule does not control, is 32 characters. Password Pattern Checks IT policy rule This rule specifies whether to verify that a BlackBerry smartphone password matches specific character pattern requirements. Password Required IT policy rule This rule specifies whether a user must configure a password on a BlackBerry smartphone. User Can Change Timeout IT policy rule This rule specifies whether a user can override the security timeout value. User Can Disable Password IT policy rule This rule specifies whether a user can turn off the requirement for a BlackBerry smartphone security password. Disable Bluetooth IT policy rule This rule specifies whether support for Bluetooth® technology on a BlackBerry smartphone is turned off. Disable Photo Camera IT policy rule This rule specifies whether the camera is available on a BlackBerry smartphone. Disable Video Camera IT policy rule This rule specifies whether the video camera feature on a BlackBerry smartphone is turned on. Confirm External Image Download IT policy rule This rule specifies whether a BlackBerry smartphone displays a confirmation dialog box when a user clicks the Get Images link in an HTML-formatted email message. Disable Manual Download of External Images IT policy rule This rule specifies whether a user can request to view URL-referenced content (such as pictures) that is embedded in email messages manually. Disable Rich Content Email IT policy rule This rule specifies whether a BlackBerry smartphone can receive email messages in rich text or HTML format. Maximum Native Attachment MTH attachment size IT policy rule This rule specifies the maximum size (in KB) of a single standard attachment that a user can download to a BlackBerry smartphone. The permitted range is 0 to 1,048,576 KB. Maximum Native Attachment MFH attachment size IT policy rule This rule specifies the maximum size (in bytes) of a standard attachment that a user can upload from a BlackBerry smartphone. The permitted range is 0 to 3 MB. Maximum Native Attachment MFH total attachment size IT policy rule This rule specifies the total size (in bytes) of all standard attachments that a user can upload from a BlackBerry smartphone. The permitted range is 0 to 5 MB. Forbidden Passwords IT policy rule This rule specifies the passwords that a user cannot use. You must separate multiple passwords with a comma. Maximum Password History IT policy rule This rule specifies the maximum number of previous passwords that a BlackBerry smartphone checks new passwords against to prevent a user from reusing previous passwords. Set Maximum Password Attempts IT policy rule This rule specifies the number of password tries that a user can make before a BlackBerry smartphone deletes all of the application data permanently. The permitted range is 3 to 10 tries. Set Password Timeout IT policy rule This rule specifies the number of minutes of inactivity before the security timeout occurs and a user must type the password to unlock the BlackBerry smartphone. Suppress Password Echo IT policy rule This rule specifies whether, after a given number of incorrect password attempts, the characters that a user types in the Password dialog box appear on the screen. Disable SMS Messages Wireless Sync IT policy rule This rule specifies whether wireless data synchronization for SMS text messages is turned off. Content Protection Strength IT policy rule This rule specifies the cryptography strength that a BlackBerry smartphone uses to encrypt content that it receives while it is locked. When you specify a value, the content protection feature is turned on. Disable External Memory IT policy rule This rule specifies whether to prevent a user from accessing the media card on a supported BlackBerry smartphone. Disable IP Modem IT policy rule This rule specifies whether the Internet Protocol (IP) modem on an applicable BlackBerry smartphone is available. Disallow Third Party Application Downloads IT policy rule This rule specifies whether a user can install an application that the Research In Motion® signing authority system did not digitally sign on a BlackBerry smartphone. Encryption on On-Board Device Memory Media Files IT policy rule If a user inserts a media card in the BlackBerry smartphone, this rule specifies whether the media files that are located on the media card are encrypted to the user password and the device-generated key. External File System Encryption Level IT policy rule This rule specifies the level of encryption that a BlackBerry smartphone uses to encrypt files that it stores on a media card. Force Lock When Holstered IT policy rule This rule specifies whether a BlackBerry smartphone locks when a user inserts it in the holster. Required Password Pattern IT policy rule This rule specifies the permitted structure of a BlackBerry smartphone password. Passwords can contain Latin-1 characters only. S/MIME Allowed Content Ciphers IT policy rule This rule specifies the encryption algorithms that a BlackBerry smartphone can use to encrypt Secure Multipurpose Internet Mail Extensions (S/MIME) protected messages. S/MIME Force Encrypted Messages IT policy rule This rule specifies whether a BlackBerry smartphone encrypts all messages that it sends using S/MIME encryption. Disable Wi-Fi IT policy rule This rule specifies whether a user can access a Wi-Fi® network from a Wi-Fi enabled BlackBerry smartphone. Disallow Patch Download Over WAN IT policy rule This rule specifies whether to prevent a BlackBerry smartphone from downloading updates for the BlackBerry® Device Software over a wide area network (WAN) connection. Allow Web-Based Software Loading IT policy rule This rule specifies whether a user can update the BlackBerry Device Software using the web-based software loading feature. Cryptographic Services Backup IT policy rule This rule specifies whether the BlackBerry smartphone can back up cryptographic services data when a user updates the BlackBerry Device Software. Tipp: Praktisch um nach einem Begriff zu suchen und zu wissen wo er sich befindet (Ich wünsche mir bis heute eine integrierte Suchfunktion in der IT-Policy von RIM). Dieses Verfahren ist dafür gedacht, um bei gebraucht gekauften Geräten die IT-Policy zu entfernen und nicht um den Admin zu umgehen. Diese Befehle müssen auf dem Server ausgeführt werden, auf dem sich die SQL-Datenbank bzw. die Instanz befindet.